Going For Gold: Donald Trump, Louis XIV, and Interior Design. CFP: ISECS 2019 (Edinburgh, 14-20 July 2019)—Roundtable: Re-imagining the digital critical edition for the 18th century. Notes from the field: A Louis XV jeton for Martinique, not Canada. In many ways the eighteenth century was the last truly ‘interdisciplinary century’ (Douthwaite & Vidal 2005). It was a time when artists, musicians, poets, jurists, mathematicians, philosophers, and diverse audiences worked together to produce new interdisciplinary practices that explored the fundamental inter-connectedness of the arts and sciences. Nowhere is this interdisciplinary gesture more evident than in the great Encyclopédie, a collaborative reference work edited by Denis Diderot and Jean d’Alembert that explicitly sought to establish epistemological correspondences between the arts, natural sciences, and technical trades. But how can we reimagine such interdisciplinary or transdisciplinary publications for the digital age? 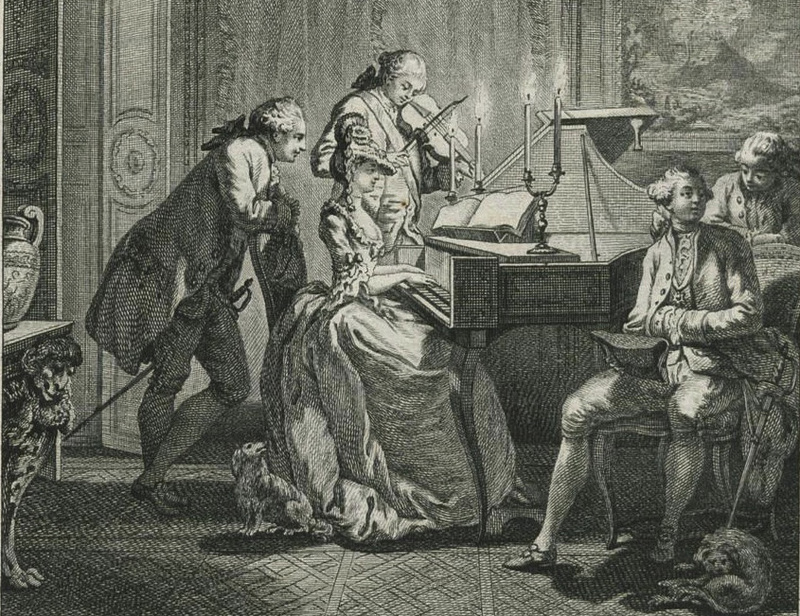 We invite proposals to participate in a roundtable discussion on the future of digital critical editions of eighteenth-century works. We will ask participants to present a short 5-minute overview of projects that relate to digital editions of eighteenth-century publications (broadly conceived) including books, pamphlets, prints, musical scores, etc. We plan to discuss the methodological and practical concerns for digital critical editions, including, but not limited to: scholarly review processes for digital outputs; accreditation for digital publications; national and international collaboration; multimedia outputs (image/text/video/sound/3D simulation); reference-ability (how will digital projects be cited); accessibility (open source vs paid access); pedagogic resources; user needs and reader expectations. Please send an abstract of no more than 250 words along with a CV to the panel conveners Prof. Nicholas Cronk, Voltaire Foundation, Oxford (nicholas.cronk@voltaire.ox.ac.uk), Prof. Glenn Roe, Sorbonne (glenn.roe@sorbonne-universite.fr), and Dr Robert Wellington, ANU (robert.wellington@anu.edu.au) by Friday, January 15, 2019.